For a limited time, Buy 1, Get 1 on our Forever Friendship Bracelets. To receive your BOGO, simply choose your Color under the Color swatch and then choose your BOGO color. That's it! 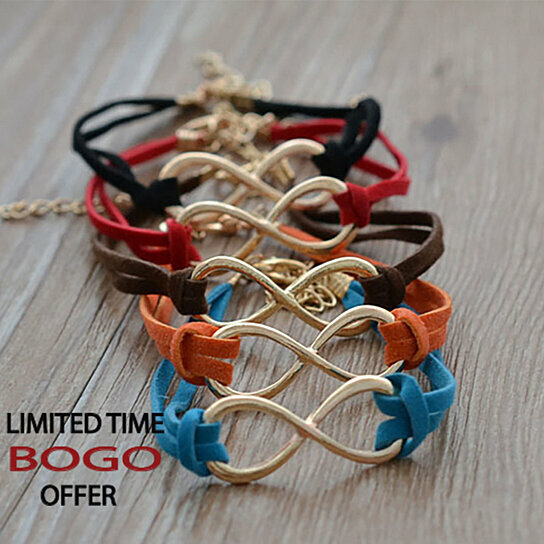 Faux Leather Charm Infinity Bracelet - For a limited time, buy 1 get 1 FREE! Best way to to show how your love is infinite and forever. Love each other!